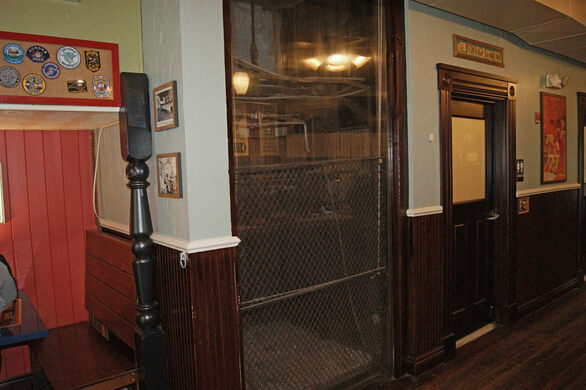 Behind a sheet of plexiglass at this unassuming Potbelly Sandwich Shop in Washington, D.C., sits a very very old open cage elevator. Local lore has it that it is an Otis elevator installed in 1853, which would make it one of the oldest in the world. 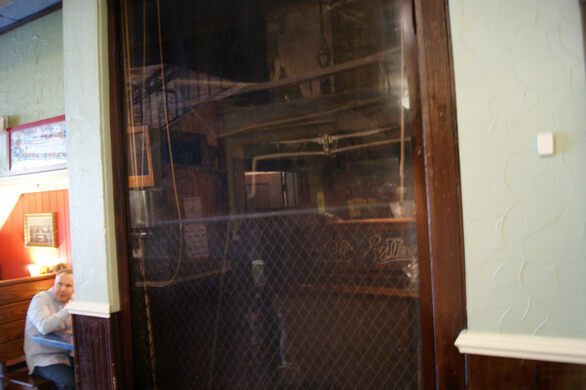 However, a well-researched investigation by the Otis Elevator Company archivist for Invention & Technology debunked this myth and showed that it’s actually a Bates elevator, most likely dating to the 1870s or 1880s, so a historical oddity nonetheless. 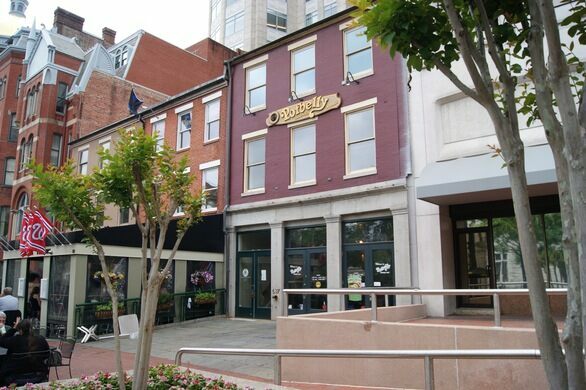 It is a miracle that the elevator and the Litwin building have survived to the present day. There was tremendous political and industry pressure to tear down the entire block in a 1970s urban renewal campaign. 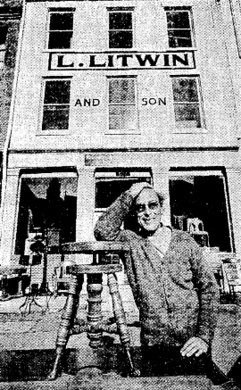 Luckily, local opposition spearheaded by Fred Litwin saved the building, as well as four adjoining addresses that were all given National Historic Landmark status. Fortunately, the story has a happy ending. Potbelly ended up buying the property, and because of the National Historic status, the shop is not allowed to remove the special elevator. There used to be a plaque, but it has recently gone missing.